We are exclusive Dearborn distributors for Europe! Choose your automotive solution and fill in the request form or contact us directly in order to place an order. Fill in the request form in order to place an order. 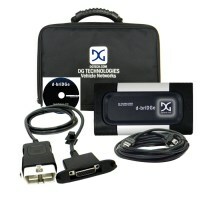 The fastest Vehicle Network Interface between Vehicle and Manufacturer on the market for SAE J2534!!! More benefit to your business than any other Tool can offer. 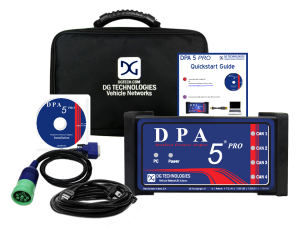 You have always relied on our DPA 5 to make money and service your vehicles the most efficient way possible. Step up to the next level with the DPA 5 PRO! 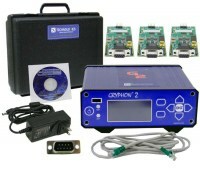 Our GRYPHON 2 is a hardware adapter that provides remote connectivity for multiplexed automation and automotive communication networks. GRYPHON 2 doesn’t require any programming and is ready to run. 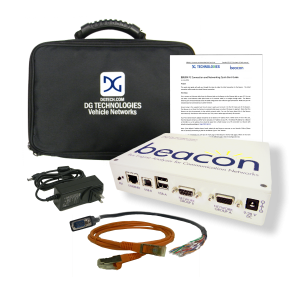 Featuring our high-end analyzer, Hercules, and compact S4 wireless hardware, this package is designed to support advanced communication with in-vehicle networks. 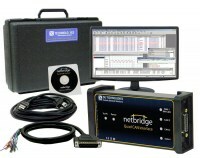 The Netbridge Is A Versatile 4 Channel CAN Interface with Both SAE J2534 and TMC RP1210C Device Drivers for Vehicle Network Communication. 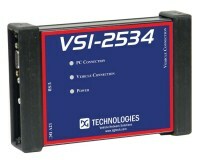 VSI-2534 is a comprehensive ECU reprogrammer with built-in OBDII diagnostic capability for service bay repairs and automotive engineering. The next generation tool providing BUS ENGINE compatibility and BUS MONITOR usability for EOL testing, ECU prototyping, data logging, bus analysis, simulation, validation, diagnostics, reprogramming and more!